With more cities banning bags each month, we have the momentum. With your help, we can win a historic victory for our ocean — a statewide ban on plastic bags. 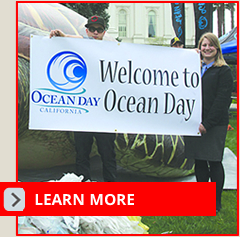 On Tuesday, April 16, ocean conservation advocates and experts from across California will convene at the California State Capitol for Ocean Day. Efforts to lessen sea level rise impacts, reduce marine debris, and implement the Marine Life Protection Act have created a groundswell of support for smart and science-based ocean policy. Residents and activists will meet with legislators to send the message that marine conservation should continue to be a priority for the state. With California’s ocean economy driving $43 billion in revenue and nearly 400,000 jobs each year, sustainable management is a wise investment. Out in the Pacific Ocean, plastic debris churns in a soup called the Great Pacific Garbage Patch – an area twice the size of Texas where plastic bits outweigh plankton. 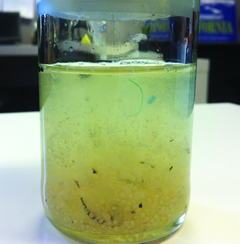 Plastic pollution persists for hundreds of years, and can kill turtles, seabirds and other marine animals.